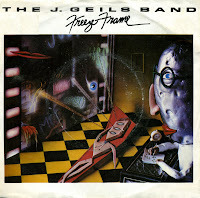 The J. Geils Band found commercial success in 1981 when they released the album 'Freeze frame'. The biggest hit from that album was the single 'Centerfold', but the title track, released as the next single, was also a success. 'Freeze frame' reached number 27 in the UK singles chart and number 5 in the Dutch Top 40.